Buying a sewing machine is a big deal. The one that I have currently is over 10 years old. I know that the one that my mother started with lasted her over 25 years. These machines last forever when you take care of them and can stay with you a long time. Buying the right one is important. Nothing is worse than having a new machine that you find frustrating, or doesn’t have the right stitch or the bobbin is empty in 5 minutes. Checking out the machine before you buy is the best thing you can do. 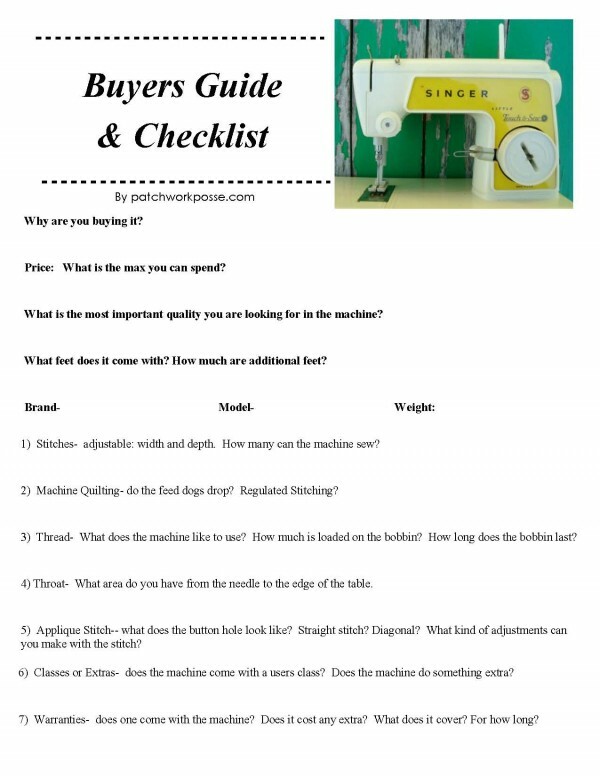 Today we are going to go over a few of the things that I look for when buy a machine. 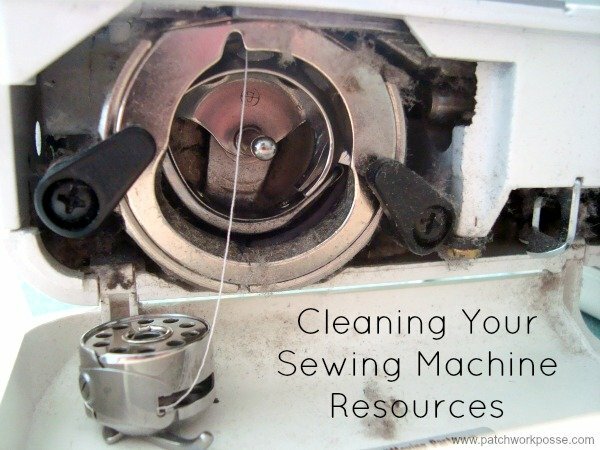 Sewing machines can be overwhelming to buy. I suggest finding out what you are going to use it for. 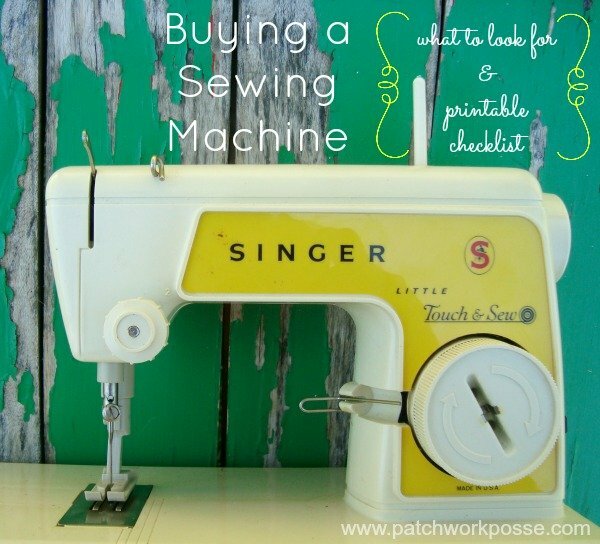 Deciding on what you are buying the sewing machine for. Are you going for embroidery, applique, simple straight stitch, fancy stitches….. if you are upgrading or changing your machine- you need to figure out the purpose of it. Are you looking for a smaller portable sewing machine? One that you can take on the plane? What does it weight? How does it travel? What feet sites it come with? How much are additional feet? How many stitches does it have. Is that important to you. I’d find out most of these answers when considering a machine. Basic models are great and can last a log time but you don’t want to out grow it quickly. Also you don’t need something with a lot of stitches when you know they won’t get used. Or look for something a little ahead of you so you can grow into it quickly and is user friendly. 2) Machine Quilting– do the feed dogs drop? Regulated Stitching? 3) Thread– What does the machine like to use? How much is loaded on the bobbin? How long does the bobbin last? 4) Throat– What area do you have from the needle to the edge of the table. 5) Applique Stitch— what does the button hole look like? Straight stitch? Diagonal? What kind of adjustments can you make with the stitch? 6) Fancy Stitches- if you are big into decorate stitches then you should take a look at what kind of stitches the machine offers. Whether it’s 10 stitches or 101- make sure they are the ones you are interested in and would use. 7) Classes or Extras- if you purchase your machine from a dealer or quilt shop, some of them offer beginner classes with the machines. This is a great opportunity and one you should take advantage of. Sometimes it takes a long time to figure out what kind of stitches the machines do, using the different feet and more. For sure take the class to avoid all the confusion and find out what your machine can really do! 8) Additional Feet- what basic feet does the machine come with? Are any other feet included in the purchase? What are they? Are they ones that you would really use or just ones that would confuse you? 9) Warranties- does one come with the machine? Does it cost any extra? What does it cover? 10) Go a little bit bigger- if you are impressed with a sewing machine….is there a step up from it? Take a look at that one also. A lot of times it’s best to purchase the next one up because it gives you an opportunity to step up to it, or grow into it. Don’t go over board and buy something way past what you need, but do consider something that has a little more bells and whistles so when you advance in your sewing career you can do it easily without purchasing a new machine. Price- Figure out what you are willing to spend and what your budget is before heading out the door. Having this clear in your mind is so helpful. There will be a few sales people out there that will try to get you to commit to something past your budget or push you to the limit. Know what your price is and stick to it. You will be happier in the end if you do. If you don’t have a number in mind, check out pricing online so you have a ball park idea of what machines will cost. Make a quick list of what you’d like. To help you out– I have put together a free printable. Even if you don’t end up buying a machine, it might be nice to have this around for reference later when you do buy! WonkyGirl Glass Even feed/walking foot (built in) is top on my list. Ended up buying a second Viking Quilt Designer because of the stitching sensor system. Becky Corthorn Weimer A good buttonhole. I also make garments so I need a good buttonhole. I have Featherweights to make my piecing with. Also, I would like to have a machine that is capable of free motion quilting. Trinity Melissa Adjustable foot pressure. That one’s a deal breaker for me every time. Teresa Raleigh Needle Down! And these days I insist on a knee lift for my presser foot My heavy duty machine sews through anything and does it quickly too. A good walking foot is a must! Good luck with your next machine! Do you have any other suggestions for when you are looking to buy? Is it possible to do hands-free reverse-stitch? Lou- wouldn’t that be handy! The fabric does seem to jump….not sure if that’s an option yet. I have not touched a sewing machine in twenty five years. I have my mom’s 1947 singer but it has few functions. 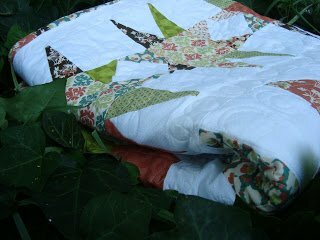 What would you suggest for a beginning quilter and or project sewer? Thanks. I disagree with some of the ideas on buying a new machine. 1. Usually more stitches better machine. 3. Since machines last a long time. It is better to buy an older top of the line than a new one that is less than the older one. You can get some good deals at dealers for these machines. They have service n have a warranty, probably a small one but at least there is that. 4. Yes, you can buy a used machine from a private party. Ask to see the latest service record on it if they say it has been recently serviced. Wouldn’t hurt to call the dealer n find out what problems the machine had or none also. 5. If do buy a machine from a private party you will not only want to know how long it’s been since servicing, but age of machine, where they bought it n how long ago ( u want to make sure it’s not a junker they are trying to get rid of), what problems if any they had with it n you want to sit n sew on it also. 8. Buying a sewing machines is sorta like buying a car. Always ask if this is your “best deal”, you will be surprised on what deals u can make. 8. Christmas time great time to buy. Sometimes you can get a serger for free with purchase of machine. You will be surprised at the deals u can make on new machine. Ask when they are going on sale. These are for new machines sometimes they get overloaded with older ones n u can get a real bargain. Janome, Bernina are a few of top machines. Look in Magazines for ads that give u an idea, ask ur friends, a lot of magazine have reviews of machines look these up on Internet. 10. Ask about a warranty one from Company n one from the person selling it. Ask for some free servicing if buying a new machine. You be so productive u won’t believe it. Needles if those don’t work you probably need a service on your machine.